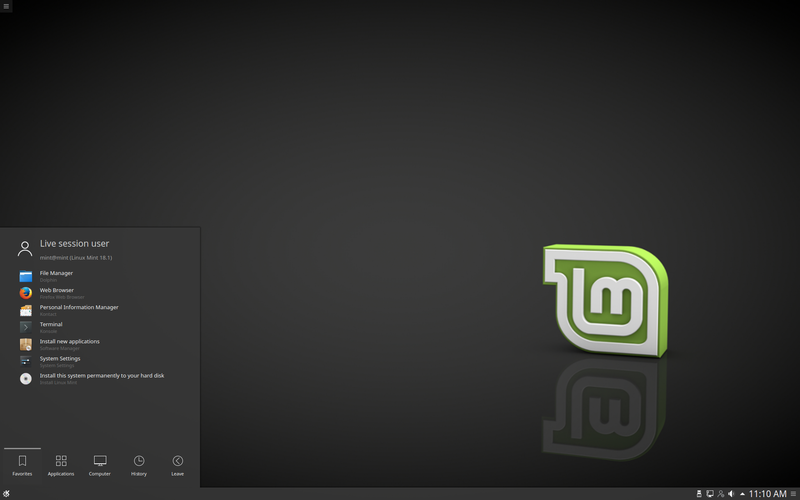 This is the BETA release for Linux Mint 18.1 “Serena” KDE Edition. Linux Mint 18.1 is a long term support release which will be supported until 2021. It comes with updated software and brings refinements and many new features to make your desktop even more comfortable to use. “What’s new in Linux Mint 18.1 KDE“. 10GB of disk space (20GB recommended). The 64-bit ISO is recommend for all modern computers (Almost all computers sold since 2007 are equipped with 64-bit processors). It will also be possible to upgrade from Linux Mint 18. Upgrade instructions will be published next month after the stable release of Linux Mint 18.1.
contains only 18.1 Cinnamon and MATE Release sums. The “sha256sum.txt” file linked from this page contains all the 18.1 Beta sums. The “sha256sum.txt.gpg” files from these two locations contain different signatures. Edit by Clem: Hi Jesse, on the verification page, make sure to click on the BETA button for BETA releases. The best KDE Plasma5 release I have tested to date. I have tested almost all of the other KDE distros and by far Linux Mint 18.1 Serena has been the most bug-free and not a single KWin crash in 2 days of testing. This release, even in it’s beta stage, is far more stable than most of the “full release” distros tested. Thanks to Clem and the Mint developers and the Kubuntu team! I am looking forward to the finalized release of Linux Mint 18.1 Serena KDE. Hi, Linux Mint team. Thank you for your hard work. Tried this beta release and founded it very smooth and stable. 3) how about use Mint green logo instead of “K”? Thank you again and sorry for mistakes in my English. Edit by Clem: Hi JK, VLC is part of the codecs pack, you can install that from the welcome screen or from the “Sound and Video” in the application menu. Great. I looking forward for KDE version of new Mint. I tried to install KDE5 Plasma to Linux Mint with MATE or Cinnamon by mint-meta-kde package but there is a problem with dependecies. Edit by Clem: Hi Ludek, I’m sorry about this.. the meta-package requires the Kubuntu Backports PPA. 2. There is no German keyboard in the live session. It’s available in the installer, though, so that’s a little weird. Oh, and would it be possible to enable two things (as options) in Dolphin? 1. Make Tab switch between panes, as KDEneon does. 2. Disable single-click activation of items. Edit by Clem: Thank you for being passionate, there’s really no need for hyperboles though. The look and feel won’t change. We want to keep things close to upstream (Breeze in particular) and we quite like what we got so far. I do not use KDE, but I will post here as there is a high chance you will see my comment. I also agree completely that the green thing (I know it’s in the name, Mint), but looks quite dated and I am really not liking it. This forces me to look for themes immediately after I install a fresh mint. Clem, would you consider dropping the green branding in the future? If it were me, I would stick to any of the popular, comprehensive themes like Numix, Zukitwo, Arc – as they are out of the box – and add the PPA so they are updated automatically. You moved to a version of Arc, but it still has the ‘green touch’ which is something that takes away from the stock look imo. This is my only criticism for the distros. And btw Ubuntu is worse – the orange and faded black – horrific. Thank you for all the hard work and the phenomenal distribution! I couldn’t wait for the KDE update, so I installed it from the Kubuntu Backports PPA, and so far, 5.8 has been better and more stable than the 5.6 that came with Mint 18. @JK: Why do you even want VLC? SMPlayer + MPV is far better. If we accidentally interrupt an update, we won’t be able to refresh it for installation? Edit by Clem: No, it means that you don’t have to re-select everything. Whoo Hooo Lets get ready to rumble !!!. Merci Mint. since I am already a Linux mint user, and run the end user; can I upgrade after it comes out of beta release? or will I have burn an ISO disk or use a usb flash drive to create it? the upgrade with the disk? P.s. I am very pleased with MINT edition. Will I be able to unhook the KDE landing ppa and take the 18.1 update? Edit by Clem: You SHOULD remove the Landing PPA, it’s only meant to be used for testing and it’s not supposed to be stable all the time. I am trying to install 18.1 KDE in a HP spectre and the installation never completes. I first noticed that the progress bar does not work, but the different slides that the installer show during the process move forward until the reach “find Help”. Once there there is not change and it seems that that installer gets stuck. The “top” command shows ubiquity running (cpu 100%). USB drive light is not flashing anymore…. It seems that the Libreoffice menu bug (checkboxes messed up with Plasma breeze theme) only solved in Linux Mint (at least I didn’t find any other distro). So this is awesome, but developers, can you fix the gtk theme problem, where GTK app menus don’t have shadows under Plasma 5? They say, that “Plasma’s default Breeze theme has a unified look across all the common programmer toolkits – Qt 4 & 5, GTK 2 & 3, even LibreOffice.”, but it’s not really true. Qt apps menus have shadow, GTK apps don’t. In my opinion, that is not unified look. But still Linux Mint is the best Plasma 5 distro. I had some problems installing 18.1 KDE in my HP-spectre (on this note, I did not have problems installing other distros based on Ubuntu, neither installing 18.1 KDE in a VM). So, first the installation program (Ubiquity) will get stuck and not show a progression bar. Then I run it from the terminal and for some reason this time, it showed the progression bar, so I was able to see that the problem was that it could not mount /boot/efi,… Then, I try again, but this time I did a simple installation, with a minimal partition table (/ and swap) and also I did not attempt to install drivers or codecs, actually I did not connected to wifi. I thought that may be if I could simplify the installation process it would work and it did (I am writing from my fresh installation). So in conclusion, the installation process seem to have some bugs when we ask it to do several stuff (4 partitions, mount NTFS partitions, use internet to download codecs and drivers, language packgages etc). I am not sure where is the problem, but happy to help if I can. I’ve a problem when I install LM-18 versions on my Desktop PC. After the installation I copy the laptop files to my desktop because I write C progremms und need for example include stdio.h. Beside from this everything works fine. This is called a beta? It’s allready the most stable, fastest and userfriendlyest distro I’ve tryed. 1) with the installer. When it comes to installing Grub, the installer crashes. (Dutch language/reconnect internetconnection (unstable, see 2)/enable install of updates and codecs) After a few tryes it finally installed Mint. Overall I am very pleased with this beta. Than You for mint developement, KDE release especially. on the livecd it won’t install google chrome, not via the QApt en nog via GDebi, it says it does but the browser is nowhere to be found. so I tried to install chromium via synaptic package manager. and again, it said it’s installed but it’s nowhere to be found. What if you or someone else provided a Driver Pack for Linux that will work with all Linux Distros? I for one, abhor those massive bundles of stuff that serve no purpose. that is one of the reasons my LMDE is only 6 or 8 GB and minimal Windows is 30GB (and needs 8 or 10 more for elbow room) … it hakes a bid difference in Speed too. A tool to detect needed drivers (if any) and install them is fine. I made try under VirtualBox. In my opinion, this KDE edition is very stable. I did not receive errors, and seems to be faster then Linux Mint 18 KDE edition. I don’t know if is a bug under update manager icon, because I expected when I click on icon, the program to be opened; on right click appear menu “Update” and “Exit”. After I click “Update” the program is opened, but the menu “Update” and “Exit” do not disappear. Best regards Clem. The Dolphin does not reduce the long file name/folder. As a result, design breaks (‘icons view mode’). Linux kernels contain most system drivers. If hardware devices don’t work as expected with one kernel, try a later kernel revision (for example 4.8… instead of 4.4…) using ‘Update Manager’ -> ‘Linux Kernels’. Alternatively, if a device is so new that it requires the very latest drivers than supplied within a distribution kernel, the latest kernel (4.9… or even 4.10…RC) can be installed manually. Thank you for Mint 18.1 KDE (BETA) edition. Enhanced Desktop colour consistency idea. Using ‘Breeze’ colour scheme, created ‘Breeze Mint’. Only change applied, copied ‘Inactive Titlebar Secondary’ colour -> ‘Active Titlebar’. Titlebars become a closer match to ‘Linux Mint’ KDE ‘Desktop Theme’ (nice theme by the way! ), plus close approximation of Cinnamon Mint-Y-Dark for universal Mint brand theming consistency. Speaking of consistency, (not an important issue) what are your thoughts on adopting a standard symbolism convention for ‘Update Manager”Your system is up to date’? I know but isn’t it risky to install new kernel? Does latest kernel support every hardware out there new and old? fixed – by installing the version Krusader 2.5 from a PPA. If installing distribution kernels (kernels available within a given distribution) there’s no risk. If a newly installed kernel doesn’t work with some hardware, reboot the system, select a previous kernel revision from GRUB (Advanced options), once system is booted remove the newer kernel. In connection with offline kernel installation, this can be accomplished by downloading officially released kernels beforehand. Rather than go into details here, also if you have further questions on this subject, please create a thread on Mint forums. Wallpaper -> Positioning currently uses ‘Scaled’, may I recommend ‘Scaled and Cropped’ (matches Cinnamon’s ‘Picture aspect’ ‘Zoom’ functionality). Recommendation prevents image distortion for those using different aspect ratio display devices. Test with VirtualBox, KDE live session, VirtualBox -> View (menu) -> Virtual Screen 1, change default to 1280×800, notice Mint logo distortion with KDE ‘Scaled’ setting. I can’t adjust correct the sound output to a 7.1 sound system. I need a different level of volume for speakers. Through alsamixer I can put a different volume on the channels. But when the change (+/-) volume (via the tray icon, or the keys on the keyboard) – changing the volume of all channels at once (becoming the same volume level). imho: KDE monochrome icons in Synaptic – is hell. When switching from airplane mode to wifi mode, wifi networks were not refreshed and no network were detected. Manually reconnecting through the “Connection editor” did not work either. Wired connection worked fine. Tried to play an mp3 from Amarok and was prompted to install media codecs. But when I checkmarked all the plugin packages and clicked install nothing seemed to happen. And upon relaunching Amarok it still would not play the mp3. And second, I think this install prompt is unnecessarily complex; I don’t think inexperienced users will know what “gstreamer” is and it just adds confusion. Another way could be to auto-checkmark all these gstreamer plugins and hide them in a “details” arrow; this would make it simpler for the user. When first connecting to a Wifi network – asked for password twice even though first attempt was correct. This has happened in other Plasma distributions. 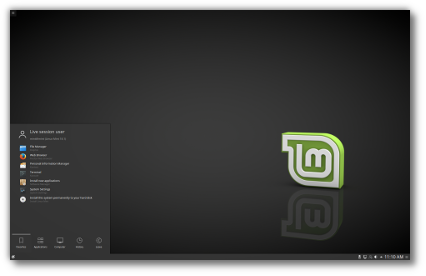 There was no “Install Linux Mint” icon on the desktop – why not? When airplane mode activated the taskbar icon is nearly invisible. Addition to post above: second attempt to setup Google account worked fine. Can you fix the proprietary nvidia drivers not working on kde for gtx 1060? I tried mint 18/18.1 kde with uefi on/off, drivers using apt-get, driver manager and .run files from nvidia multiple times. The drivers work fine on cinnamon and I was thinking you know how to make them work on kde too. 1. BOOT. OK, let’s turn on the computer. And… I have to wait for at least 10 seconds for the screensaver (or login screen) to go away. Yes, I’m using autologin, but that’s not the point. 10 seconds extra boot time when using fast SSD is idiotic. And you can’t turn it off either! 2. DESKTOP. At first glance nice, but… instead of user-friendly, modern and robust we have something that is dated at least 15 years and at the same time somewhere at alpha stage. Change at theme and it may break, add an addon and it either doesn’t work as advertised or breaks something. Modern? Well, only if one considers Windows 98 modern. Quick Launch and Task manager… hey, it’s 2017 out there and there are more efficient ways to manage tasks! OK, well, let’s say it is only the base to build on and add an addon, say, Icing Task Manager. Done. Opening a document in Libreoffice. Oh, wait, have to check something elsewhere, so minimizing that doc. AND… hey, where did it go?! No icon, no nothing, can’t restore. And no official, guaranteed-to-work-by-Mint-team app manager, only that dated basic scheme. See where I’m getting to? 3. COPYING. Because everybody needs to copy files sometimes. Ah, that beautiful Nemo file manager 🙂 No, I do really like it. But then “Device is write protected.” A bug that has been there for AGES. Still nobody seems to care. 4. TRYING OUT MINT CINNAMON 18.1. Ah, vertical panel, just the way I like it! Another LTS release, so it should be more stable than previous version, 18, right? Wrong! Applying a theme provided by built-in theme manager, not some god-forsaken third-party source, so logically it should be OK. It’s not. Both the buttons and decorations on my panel are not centered any more. Horrible! Long story short, I would love to recommend Linux Mint to my customer base and believe me, I have hundreds, if not thousands of them. But I can’t, because after that I would be lynched. Too many errors, too dated, too many things not working as advertised. So while I do applaud the effort, Mint for the time being is definitely not something I would recommend to anyone I like. Simply too many bugs, both old and new ones, too stuck at the turn of the century. I’m really sorry. Edit by Clem: Hi Sven. We don’t do advertising. We do appreciate feedback though. Most of your points are valid but they’re off-topic here. You missed the BETA phase for the Cinnamon edition where they would have been more pertinent. That said, long-standing bugs such as the one you described about Nemo are still open and the reason they’re not fixed isn’t because we don’t care about solving them, but simply because we don’t have a solution for them. I do suspect GVFS here personally, but as I said, we don’t have a solution just yet. Regarding the spices ecosystem, it’s a huge issue and you’ll appreciate the recent steps we’ve taken to regain control and raise the quality. On the themes alone, we’ve already reduced the pool from 485 themes (this was getting way out of control, and it was truly 3rd party) to about 40 of them, which is much more manageable and we do intend to fix all spices and themes going forward. Don’t hesitate to get involved on github, you’re not just a “consumer” here, you can take part in improving it as well and thank you for your contribution already. I want to thank the team for an excellent release. I recently set up a new XPS 13 in dual boot mode with Windows 10 and the Linux Mint 18.1 KDE beta. This new release solved several issues I had and made the XPS 13 an amazing machine. Once I forced the font DPI to 125 and increased each font size by two points the text size is quite readable. Next I had to deal with getting the ability to disable the touchpad to work for me which I did by increasing the timeout to 750 ms, removing the setting to “Disable taps and scrolling only” and selecting instead “Disable touchpad when mouse is plugged in”. That was all it took. I did have a minor issue where the system had a dummy device for sound, and I resolved that by reloading ALSA and I have had sound across multiple system boots. All in all, an excellent experience so far with a Beta. Hope these comments are useful for other XPS 13 users. A friend, who had installed Mint using the default partitioning with a separate boot partition, ran into the problem of his boot partition running out of space. Successive kernel updates had taken up all the space on the device. The combination of a separate, relatively small boot partition and Mint’s policy of not automatically removing old kernels leads to a situation your everyday user will find hard to resolve. At the very least, the system should give specific advice on how to fix this situation; a setting to enable automatic removal of older kernels would be even more desirable. One more thing: Please re-check, if the spell-checking in Kmail can now be successfully disabled. That single bug prevented me from using Kmail – it leads to an infinite loop. I cannot disable it even after reboot it is still active. And please re-check bluetooth. I could successfully connect devices with Mint 18 KDE, but could not get any sound. With Maui 2.1 for example : no problem! So hardware is not the problem. Sometimes I have slow reboot/shutdown with black screen. System wait about 90sec especially when I edit files via sudo. After some days of using this beta, I haven’t have major problems. But there is a few of things that may be worth mention. 1) Kmail, does not show the headers of the messages, this is a big problem for new users if they have not work for years with kmail. I solve it by installing kdepim-addons, so @Clem et al, I think that it may be a good idea to include it. 2) Kontact Calendar will not sync well gmail calendar, it does sync the first time but will not update after that, I could not find a solution yet. 3) As someone mentioned before if you are working with a high def screen (laptop) everything will look very small. KDE can fix this by adjusting the DPI in System Settings>Fonts and changing DPI to 144 or any other number that makes everything look goood. Using System Setting>Display and Monitor>Scaling is not a good idea. So, I was thinking that may be this can be done automatically if during installation a HD screen is detected or at least put this a hint in the welcome screen? 4) The sound by default is directed to HDMI rather than the laptop speakers, this can be changed but it initially I thought that the sound was not working. I think that by default the sound should be directed to the speakers. Everything else working well so far, great comeback for KDE. I have been waiting for such a release of KDE for almost 10 years. Will this version feature a nice way to manage KDE wallet to not ask for passwords for a period or to easily disable? Its reason I don’t use KDE, ever tried to let a KDE desktop be a family computer and shared with kids? Unloading ALSA sound driver modules: (none loaded). Dunno if it only happended to me, but recently after update steam icon in tray got broke. No interaction with any mouse button. My issues with sound does not appear to be due to KDE, but to issues with the XPS 13 and perhaps Windows 10 maintenance. I had recently applied maintenance to Windows which apparently broke audio. I reinstalled Windows 10 which did recover sound for Windows. Next, I tried running the 18.1 beta off the USB and sound was fine. Not sure what is going on here, but I think I will simply reinstall KDE standalone on the XPS 13. – Kate cannot write to its config file. Opening Kate displays the following message “Configuration file “/home/*myusernamehere*/.config/katerc” not writable. Please contact your system administrator.” But after OK-ing this message Kate starts fine. Message appears each time I launch Kate from the menu, terminal or dolphin. Does not appear when Kate is launched with sudo privilegies. – Setting new global keyboard shortcuts only takes effect after a reboot. To reproduce: Open menu, search for “global” and select Global keyboard shortcuts, then attempt to create a new keyboard shortcut for any program, save the settings and try the shortcut. Test whether it works after a reboot. Note: this is also an issue in Manjaro KDE Plasma 5.8.5. – Unable to read internal files on a Samsung Galaxy S3 connected in MTP mode. To reproduce: connect an S3, choose MTP mode on the device, and attempt to open its contents through the device tooltip on the systemtray. If you experience my problem, you will be able to view files on the SD card but the internal storage will appear empty. – Connecting to a Wifi network for the first time no longer asks for password twice.